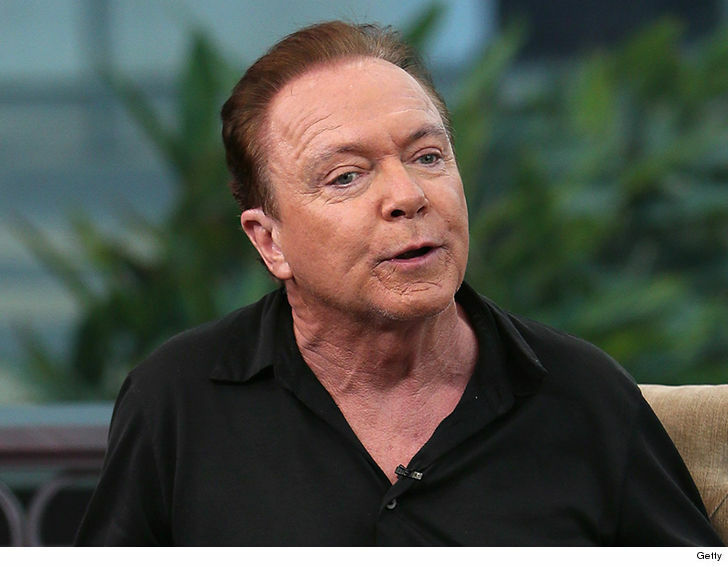 David Cassidy condition has deteriorated and he’s now in ICU and the family is preparing for the end … TMZ has learned. TMZ broke the story … David was rushed to a Florida hospital earlier this week. His organs were failing and he was in desperate need of a kidney transplant. We’re told doctors have summoned David’s immediate family — his son and ex-wife — back to the hospital for what could be their final visit. (CNN) David Cassidy, the wildly popular ’70s heartthrob who shot to fame when he starred and sang in TV’s “The Partridge Family,” is in critical condition with organ failure. Cassidy is being treated at a Fort Lauderdale, Florida, area hospital, longtime publicist Jo-Ann Geffen told CNN on Saturday. He is in the intensive care unit and has a breathing tube, she said. “He is conscious and surrounded by family and friends, nothing is imminent and we are taking it day by day,” Geffen said. “The Partridge Family,” a sitcom about a mother and five children who formed a rock ‘n’ roll band, gave Cassidy a national audience for his music. Cassidy, who played Keith Partridge on the show, captured the spirit of 1970s youth. The singer toured the world singing his hit songs, such as “I Think I Love You,” filling concert halls with screaming teenage girls. He told People magazine earlier this year that he is battling dementia. He said dementia runs in his family, affecting both his grandfather and his mother. “I was in denial, but a part of me always knew this was coming,” he said to People, regarding the disease.